After a thrilling opener to the second season of Formula E, in which Sebastien Buemi took victory while all sorts of chaos went on behind him, e-racing.net’s managing editor Renate Jungert and senior editor Laurence Thorn have come together to discuss their top moments from the race. LT: After such a dominant display, it simply has to be Sebastien Buemi. Of course the Renault powertrain appears to be the quickest one out there so far, but he still had to go out there, drive away from pole and not put a foot wrong – and he managed it perfectly. While team-mate Prost battled with di Grassi and Heidfeld behind, Buemi serenely cruised to his first win of the season. It’s very early days, but you’d have to put Buemi down as one of the title favourites already. RJ: Buemi would indeed be a deserving candidate as he has done an absolutely flawless job once again. However, the one that has impressed me the most today was Loic Duval. Starting from eighth place on the grid and finishing in fourth, just tenths off the podium, he was in the middle of heated battles all race long, attacking and defending against the aggressive Jean-Eric Vergne and later on his team mate Jerome d’Ambrosio. Nevertheless, Duval had enough power left to drive a lap more than his rivals in the first stint, thus being able to profit from the full course yellow, and at the end of the race he had enough power left to fend off the charging d’Ambrosio and even attack Nick Heidfeld for a podium finish. LT: It has to be Nick Heidfeld’s storming start to get himself ahead of Nicolas Prost and up into 2nd place, splitting the Renault e.Dams cars. This perhaps saved us from the Mercedes F1 style 1-2 finish that could have happened if Heidfeld had not got such a good launch and put himself ahead of Prost around the outside of turn 1.
RJ: I agree with that, Nick Heidfeld has my vote. The move was impressive, and it definitely spiced up the race. The battle between Heidfeld, di Grassi and Prost was entertaining and great to watch all race long, and Heidfeld’s dashing start laid the foundation for that. LT: There were lots of candidates for this, with many battles in the midfield as we have become accustomed to in Formula E. One move that impressed me greatly was Bruno Senna’s move on Jean-Eric Vergne on the very first lap, squeezing up the inside of Vergne as the Frenchman locked up. However taking the award for me was Nicolas Prost’s opportunistic move on Nick Heidfeld, catching the German napping following a Full Course Yellow restart. Prost showed great awareness at this moment to make the move stick. RJ: The race was bursting full of exciting moments, so it is definitely tricky to pick just one. The battles at the start contained great moves, the aforementioned overtake of Senna on Vergne is definitely one of them, and the breath-taking duel between Duval and Vergne passing and re-passing each other, is surely worth being listed as well. Bird launched many great attacks as well, and Prost caught Heidfeld napping at the full course yellow restart and made a swiftly and well-executed move. In a race full of drama and action like this, it is just too hard to pick only one. LT: It was nice to see two out of the three rookies in the field scoring points straight away – Team Aguri’s Nathanael Berthon was helped by the timing of the Full Course Yellow and finished in an impressive 8th place, while Robin Frijns benefitted from a penalty to Daniel Abt in order to finish 10th and score a point for the Amlin Andretti squad. The reliability of the new powertrains was also nice to see, with very few drivers suffering from technical issues over the course of the day. RJ: There can only be one surprise of the race: The complete switch-around of the top ten and the bottom of the field when the full course yellow flags interrupted the race right in the middle of the pit stop phase. I have never seen anything like this before, and it has been a plot twist that surely no one saw coming. LT: Reigning champion Nelson Piquet Jr had a weekend to forget, qualifying 18th and last before a frustrating first stint in which he was unable to make much progress through the field. After a gaining places on the pit stop due to the timing of the Full Course Yellow, which got him up into the top 10, his car then ground to a halt on track as the NEXTEV powertrain suffered from an issue. While Piquet could eventually get going again, he finished the race two laps down – while team-mate Oliver Turvey, on the same strategy, showed what was possible with a 6th place finish. 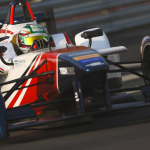 RJ: Not only Piquet Jr. was unlucky this weekend: My vote goes to Nicolas Prost. After qualifying alongside team mate Sebastien Buemi who would go on to win the race, he immediately lost two places with a slow start. While he was able to regain one eventually with a good move, he eventually finished the race retired in his garage with a destroyed rear wing, missing out on the chance to make it a double podium for Renault e.dams. LT: Both of the Dragon Racing drivers of Loic Duval and Jerome d’Ambrosio were able to run a lap longer than most of the frontrunners, and this worked out in their favour as the Full Course Yellow timing allowed them to make their stops and come out much further up the field than when they had stopped. Duval in particular used this to full effect in order to take a 4th place finish. Honourable mention also to the NEXTEV pair of Turvey and Piquet Jr.
RJ: There is little to add to that. 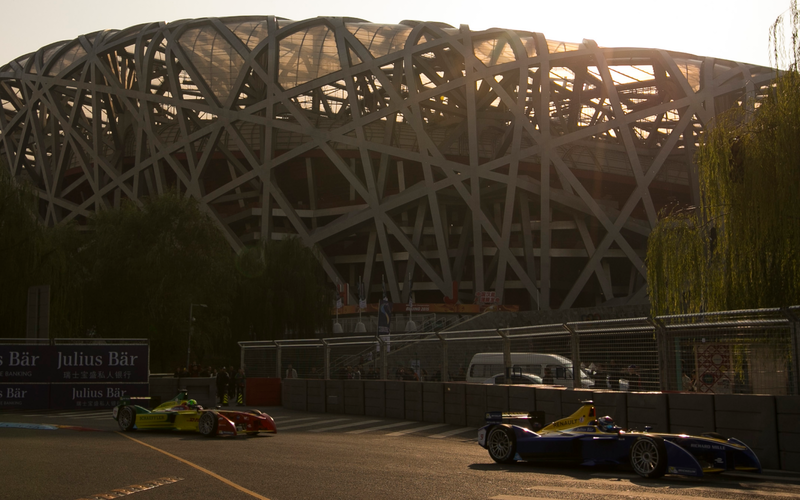 Both Dragon Racing cars managed their energy perfectly, so that they could make full profit from the full course yellow. Not only that, Duval had enough battery power left to keep his attacking team mate behind and even charge ahead on the last laps to put Heidfeld under pressure. LT: Of the three rookies in the field, while Berthon finished higher up the road then Frijns, the Dutchman probably showed the best performance. While Berthon’s position was partly due to pit-stop timing, Frijns fought his way through the field, making several overtakes and capitalising on mistakes from others in order to bag himself 10th place, and a point on debut. 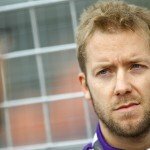 RJ: It has to be Frijns indeed. The Dutchman had an admirable performance, slicing his way through the field and taking the fight to more experienced rivals, and all that without the help of the full course yellows. A well-deserved point indeed, and I am certain that Frijns will certainly be one to watch in the next races.